Four years of use and no damage. I really don’t feel the need to test it’s durability and thankfully so far I’ve dodged the bullet. Nevertheless it served me well and if I were to go back it will still be the one to choose from the many other on the market. Not a fan of Petzl in particular but it just ticks all the boxes to make it the best buy. 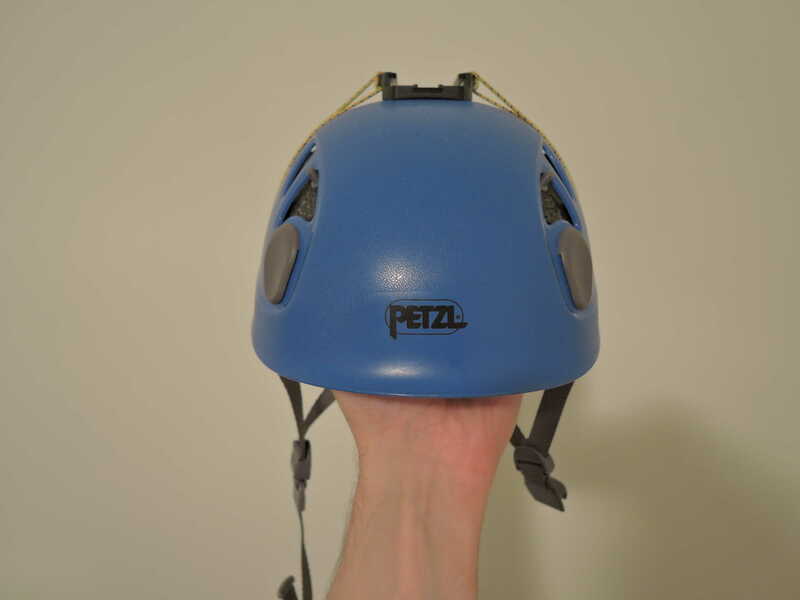 Petzl Elios it’s a multi-purpose UIAA certified helmet. Not the lightest but durable, fairly well ventilated and versatile. 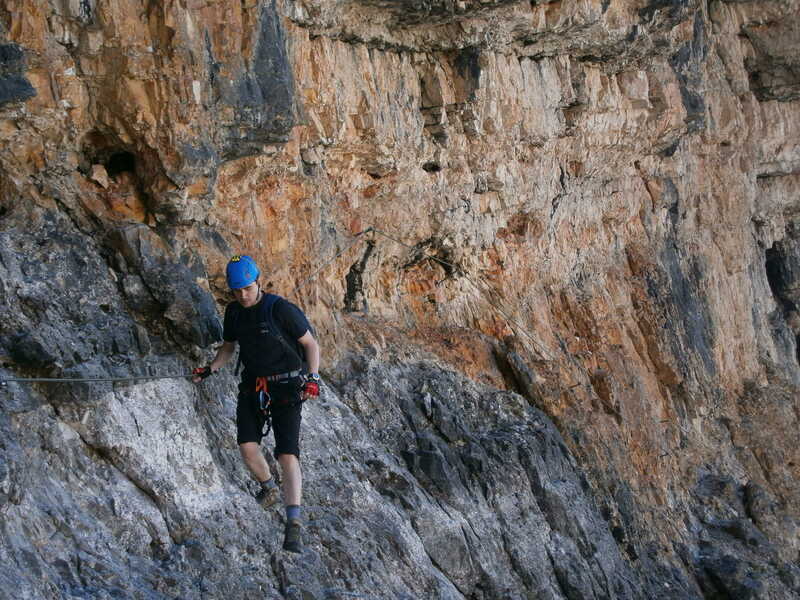 From climbing, mountaineering to caving, via ferrata and even ice climbing makes a great addition to anyone’s gear collection. Available in 2 sizes and different colours it’s reasonably priced at around £50 mark. The size – as mentioned it comes in two sizes, 48-56cm and 53-61cm. The only downside to this is when you find yourself in between sizes as myself. I’m exactly a 53cm and even though theoretically I could go for the bigger size, it just didn’t fit well. The fact that I only have 3cm to spare on the smaller one makes it a bit difficult to accommodate a thicker hat. If you do not pay attention you could end up with to much pressure on the occipitalis muscle and have terrible migraine. 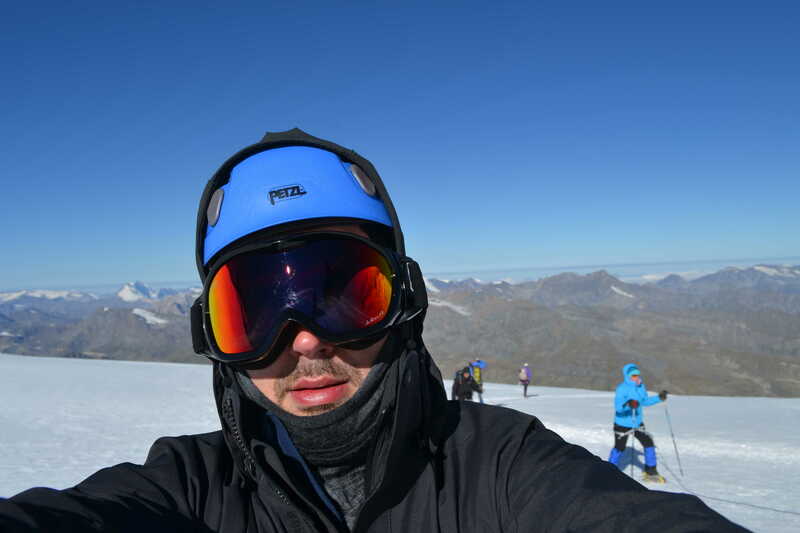 Found that recently while climbing in the Jungfrau region. having a massive headache I decided to stop and take my helmet off. Instantly the pain went away and concentrated in one spot at the back of my head. So be careful! The material – the shell is made from a durable injected ABS with an expanded polystyrene foam liner. At 300g for a size 1, it’s pretty well balanced weight/durability wise. The velcro comfort absorbent foam makes it comfortable to wear and easy to wash off the sweat. 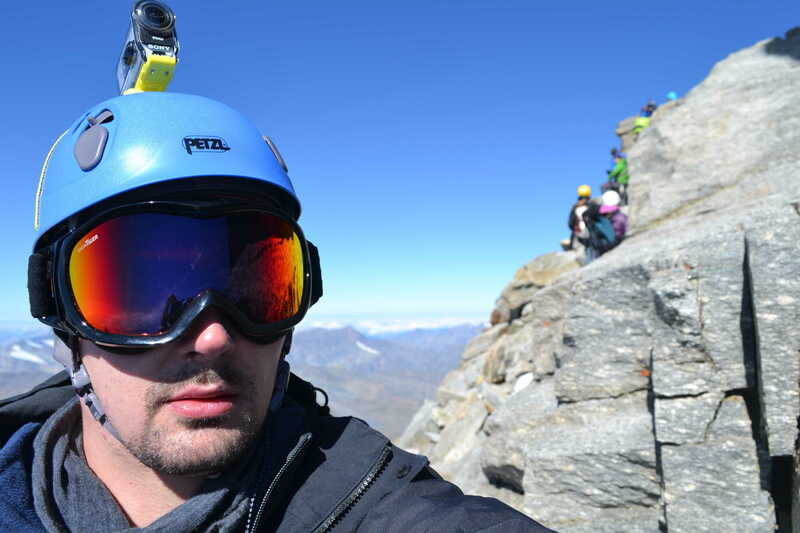 The helmet – is adjustable even when is being worn. Features four integrated clips for head torch and two ventilation shutters on both sides. It’s also compatible with the Vizion eye shield. The shape is perfect for action camera mounts. ventilation is good but not the best. After using it years in a row, both winter and summer, I definitely don’t regret my purchase. The only notable downside is the ventilation on warmer days.The sizing is not quite an issue as most of the times I only wear a thin beanie anyway. It’s also pretty compact but large enough to allow storing my Julbo Explorer and my camera while in my pack. Easy to adjust even when on. Sits well and comfortably, on the head and not too high. Also easy to wear under any hood size. I don’t use a visor so the side holes served well in securing my action camera. While sometimes I find myself wondering if I should go ahead and change it for the better ventilated Meteor, there aren’t really enough reasons not to keep my Elios . It’s simply the best all-rounder and for what I do, there’s no point in even considering a foam shell to shave some weight. The last but not the least, it’s also cheaper than the BD Half Dome, though I must confess I do like the wheel adjustment system. 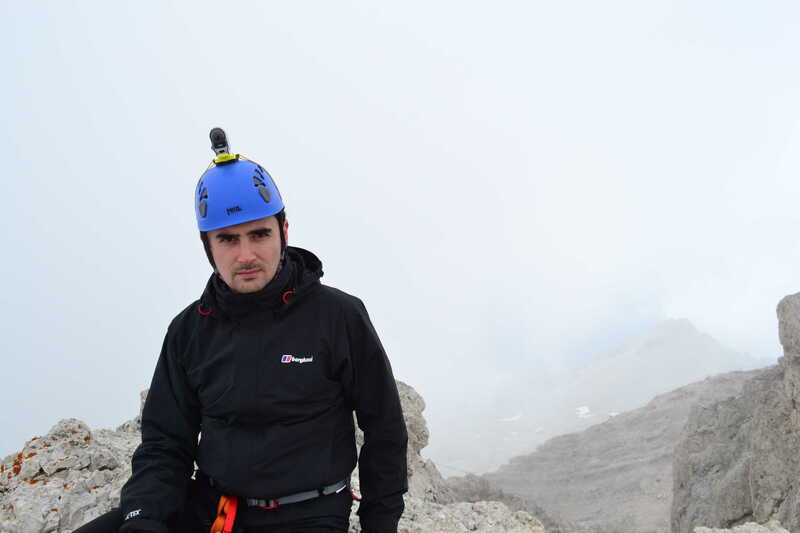 Is not even worth comparing it to Mammut Skywalker which is heavier, sits on the head and not so durable. So ultimately not much left to say other that I totally recommend it as the best buy!